David S. Ludwig, MD, PhD, is a practicing endocrinologist and researcher at Boston Children’s Hospital, professor of pediatrics at Harvard Medical School, and professor of nutrition at Harvard School of Public Health. He is founding director of the Optimal Weight for Life program at Boston Children’s Hospital, one of the oldest and largest family-based weight-management programs. He also directs the New Balance Foundation Obesity Prevention Center. Described as an “obesity warrior” by Time magazine, he has been featured in The New York Times, The Boston Globe, and USA Today and on NPR, ABC, NBC, CBS, CNN, and other networks. 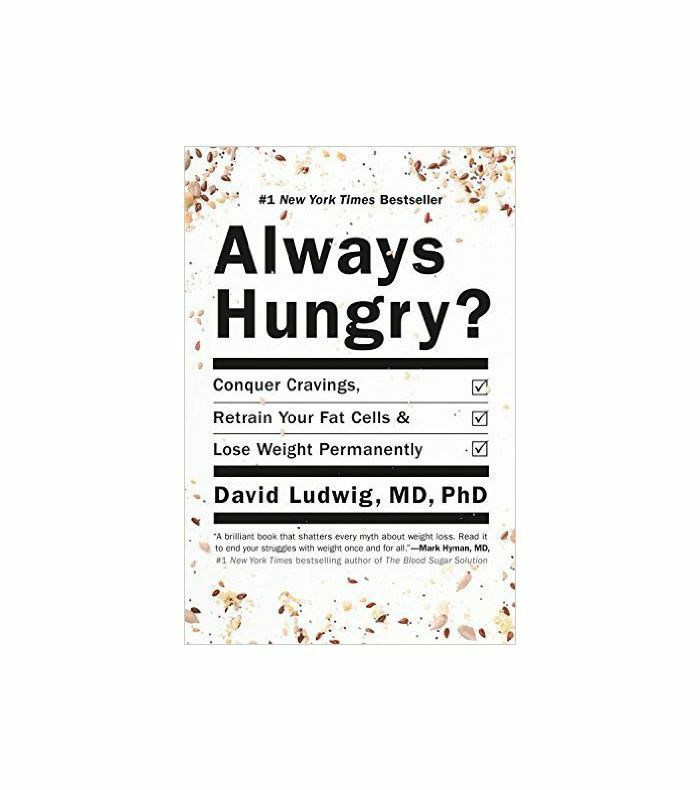 In this exclusive excerpt from his best-selling book, Always Hungry?, Dr. Ludwig outlines the key findings from his research on calories (and why we should ditch them), along with the healthy meals you can order at restaurants and his favorite frittata recipe. Virtually all weight loss recommendations from the U.S. government and professional nutritional organizations rest on the notion that “a calorie is a calorie”—a strategy with appealing simplicity. “Just eat less and move more,” they say. “Consume fewer calories than you burn off, and you’ll lose weight.” There’s just one problem: This advice doesn’t work—not for most people over the long term. Obesity rates remain at historic highs, despite an incessant focus on calorie balance by the government, professional health associations, and the food industry (witness the “100 calorie pack ”). Furthermore, the customary method to reduce calorie consumption since the 1970s—a low-fat diet—has failed miserably. Although the focus on calorie balance rarely produces weight loss, it regularly causes suffering. If all calories are alike, then there are no “bad foods,” and the onus is on us to exert self-control. This view blames people with excess weight (who are presumed to lack knowledge, discipline, or willpower)—absolving the food industry of responsibility for aggressively marketing junk food and the government for ineffective dietary guidance. All too often, people hear the message, “It’s your fault that you’re fat”—as if they could simply will away the extra weight. In a sense, being heavy has become prime evidence of a weakness of character, provoking prejudice and stigmatization. Overweight children commonly experience teasing, abuse, and bullying from peers, sometimes with tragic consequences. Adults face endless indignities, from work-place discrimination to insensitive characterizations on television. Not surprisingly, high BMI is sometimes accompanied by major psychological distress, including anxiety, depression, and social isolation. The “calorie is a calorie” concept also has prompted development of some patently bizarre products, such as “low-fat” candy, cookies, and salad dressings, typically containing more sugar than the original full-fat versions. Are we really to believe that, for someone on a diet, a cup of cola with 100 calories would make a better snack than a 1-ounce serving of nuts containing almost 200 calories? New research has revealed the flaws in this way of thinking. Recent studies show that highly processed carbohydrates adversely affect metabolism and body weight in ways that can’t be explained by their calorie content alone. Conversely, nuts, olive oil, and dark chocolate—some of the most calorie-dense foods in existence—appear to prevent obesity, diabetes, and heart disease. In truth, the obesity epidemic is not about willpower or weakness of character. All this time, we’ve been diligently following the diet rules, but the rulebook was wrong! In a recent study published in the Journal of the American Medical Association (JAMA), my colleagues and I examined twenty-one young adults with high BMI after they had lost 10 to 15 percent of their weight on diets ranging from low fat to low carbohydrate. Despite consuming the same total calories on each diet, the participants burned about 325 calories a day more on the low-carbohydrate diet than on the low-fat diet, amounting to the energy expended in an hour of moderately vigorous physical activity. So the type of calories we eat can affect the number of calories we burn. Over the last few years, we seem to have been moving toward the tipping point, with reputable scientists acknowledging the previously unthinkable possibility that all calories aren’t alike. Even Weight Watchers, for decades the leading advocate of calorie counting, now assigns “0 Points” to fruit. Meaning that if you had the fortitude, you could eat a 10-pound watermelon containing most of your daily calorie requirement “for free”—in flagrant defiance of the calorie-counting approach to weight loss. The entire concept of calorie balance seems to be tottering! It’s time for a new approach, but which way do we turn? When you’re traveling or too busy to prepare a home-cooked meal, follow these suggestions to help stay on track. This is a staple brunch in the Ludwig household. It is easy to make and easy to reheat leftovers in a toaster oven. You can even have a leftover slice for a quick snack. Heat 2 teaspoons of the oil in a 12-inch cast-iron skillet or ovenproof nonstick skillet over low heat. In a bowl, whisk together the eggs, egg whites, garlic, salt, and pepper until frothy. Pour the egg mixture into the skillet. Turn off the heat. Arrange the zucchini slices in a single layer over the eggs. Arrange the tomato slices in a layer over the zucchini. Sprinkle with the herbs. Top evenly with the cheese. Transfer to the oven and bake for 5 minutes, or until the cheese melts. Toss the kale with the remaining 1 teaspoon oil. Arrange the kale on top of the frittata and bake for 8 to 10 minutes more, or until the eggs are fluffy and the kale begins to get crispy. Serve garnished with fresh avocado slices. If you want to learn more about Ludwig's findings along with his detailed meal plan, and healthy recipes, shop his best-selling book below. What are your favorite healthy restaurant orders? Excerpted from ALWAYS HUNGRY? Conquer Cravings, Retrain Your Fat Cells, and Lose Weight Permanently by David Ludwig, MD, PhD. Copyright © 2016 by David S. Ludwig, MD, PhD. Reprinted with permission from Grand Central Publishing. All rights reserved.